HDiQ Dental was established in 2004 by Michael and Kerrie Russell. Michael, has many credits to his name including multiple Telley awards and a "who's who in America 2008." Working in news and media for over 20 years he has seen many changes in technology. Seeing the trends and anticipating the growth of video on the web, HDiQ Dental was formed and became the first dental continuing education company that delivered high definition content via the web. As a freelance producer, videographer and editor, he created the majority of video courses for The National Dental Network (NDN). During that time as he visited with dentists all over the world he noticed that they all loved the content but not the delivery method (at the time NDN sent out DVD's via mail). So, in 2003 he left to start his own company coming up with a solution to make CE courses more accessible and convenient. Over an 18 month period Michael worked with numerous programmers to create a unique patented player that utilized the latest studies on the Adult Learning Education Theory. This ensures that users were immersed in the content unlike anything that a traditional DVD or any other on-line experience could achieve. This model and player has since been licensed by numerous companies across the web. Michael is a consultant and an expert in the field of dental marketing and SEO. 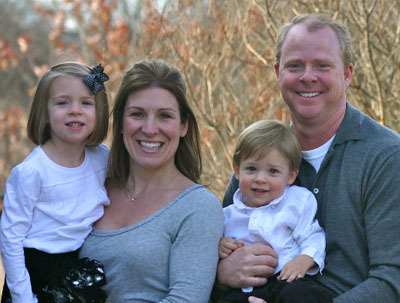 The Russell's are working on a new company called Ignite Practice Builders. An online automated patient communication program utilizing video, on and offline marketing tools, and text messages services for patient communications. It is due out first quarter of 2014. Michael also owns and operates Spring Creek Productions. Over the years SCP has worked with dozens of Fortune 500 companies including, Nortel Networks, Drive Financial, The American Heart Association, IBM and many more. As with the other companies Michael is involved in, SCP focuses on private production for dentists, including marketing for television commercials and web content. Michael is often heard saying, "Education is what it has always been, the only way to grow personally and professionally. Today, however, the means of delivering that education have changed." Together with the help of his wife, Kerrie, Michael plans to bring the highest quality content via the latest technology to dentists around the world.